Find your nearest Masjid, Halaal Eating Places, Alliance Partners and Salaah times, plus use the Qibla Compass using the Crescent Lifestyle App now with GPS Location Based Services. As-Salamu Alaykum. While we get through the last remaining weeks of winter, we are reminded of how fortunate we are to have shelter, food and warmth. Being actively involved in our communities is vital during these testing times, as so many are in need and may not have the means to help themselves. As a Muslim, it is our duty to be community centered, especially since our community is based on sincerity, purity of human feelings and fulfillment of rights and needs to one another. The Muslim has a mission in life. Within the community he calls the people to Islam with good preaching and the best character. He teaches from what he learns and deals with those whom he comes in contact with based on Islamic values and morals. All this is done seeking the pleasure of Allah, the Exalted, while striving to attain the reward of His Paradise. At Crescent Lifestyle, our primary focus is "Unity Through Community" as we strive to help our members and their communities to become more integrated. The Crescent Lifestyle App, promises to make a Muslim person's life of Islam more accessible and places everything that matters most to you, conveniently in the palm of your hand. Our Award-Winning APP incorporates the latest cutting-edge technology with the most essential components of our lifestyle programme for a user-friendly experience. At Crescent Lifestyle, we are constantly innovating our APP's features, so that your community is always within reach, and our members enjoy exclusive access to The Best Islamic Lifestyle Product in South Africa. Since launching the latest APP update recently, Crescent Lifestyle members are now able to enjoy GPS location based functionality at the swipe of a finger. You are now able to locate your nearest Masjid, Halaal Eating Places, Alliance Partners and Salaah times all based on your exact location, as well as make use of the interactive Qibla Compass for your convenience. To enjoy these new innovative features, be sure to update your version of the Crescent Lifestyle APP now! You will stay connected with your community no matter where you are in South Africa. 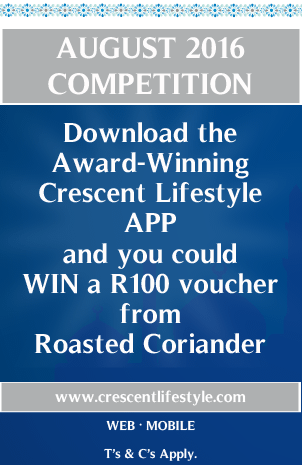 The Crescent Lifestyle APP gives you preferential access to the most extensive listing of area specific prayer times, duas, mosque locations, halaal eating places, real time community and mosque specific notices, funeral notices and events throughout SA, financial indicators and more. With a modern design interface, the easy-to-use Crescent Lifestyle APP is integrated with personalized electronic membership card that allows you to enjoy SAVINGS, DEALS, and TACTICAL OFFERS at over 100 Alliance Partners nationwide. Now these incredible savings are available to you at the touch of a button - your new electronic membership card is always in the palm of your hand. Your membership pays for itself! Make a noticeable difference in your community by GIVING a portion of your monthly membership fee to a charity of your choice. For details of the latest Beneficiary Payout, visit the GIVE section of the Crescent Lifestyle APP. 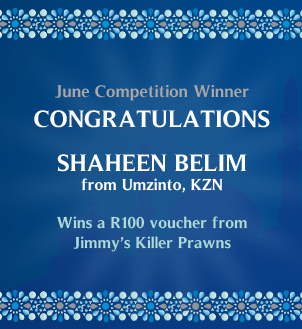 Your spiritual dreams can become a reality with an entry in our monthly R10 000 Umrah draw. For a list of all our Umrah draw Beneficiaries, visit the Beneficiary section of the Crescent Lifestyle APP. Download the CRESCENT LIFESTYLE APP for FREE on APP Store and Google Play today and start enjoying our unique Islamic Lifestyle Programme more conveniently on your smart device. Be sure to visit our Facebook page for regular updates as to what the Crescent Lifestyle team are up to, as well as tactical offers, recipes, teachings, vacancies and more. We live in a world rocked by political turbulence and plagued by the greed for power. Amongst the signs of Judgement Day is that undeserving people will assume posts and public office. "Why do you not give me a post in the government? Unfortunately, transparency and accountability from people holding posts, has become rather rare. Those who truly understand the colossal and mammoth task of leadership and the subsequent accountability to Almighty Allāh, will be very hesitant in embracing it. ‘Omar bin Khattāb (may Allāh be pleased with him) intended renewing the contract of the Governor of "Ḥimṣ" (a city between Damascus and Halab) as he was very honest and principled. The Governor, namely Umayr (may Allāh be pleased with him) declined saying, "I will not accept this post again." We ask Almighty Allāh to bless our organisations, institutions and the world at large with selfless leaders. My belief is that Allah alone extends the invitation to the Holy Lands. I was already booked to go for Umrah in November last year with my husband and unforeseen circumstances prevented us from making the journey. At the time I was shattered and heart broken. As the months passed my yearning to be in the sacred cities heightened until it consumed me. I could smell the Harams and picture the Rowdah as I prayed my daily salaahs, such was my craving. On a family vacation to Mpumalanga,one blessed Friday at the end of March, I received a life changing sms informing me that I was the March Umrah Beneficiary! I could not believe my eyes - the thought that Allah had finally chosen me through Crescent Lifestyle to be His guest. 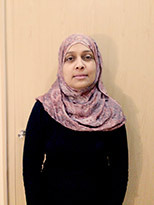 Within a week I had secured my package and left for Makkah via Jeddah with my husband on 21st May. Our Umrah was absolutely beautiful. I have visited Makkah and Medina many times, but this was by far was the most spiritually uplifting trip I have ever made. Our week in Makkah went by so quickly, however it was a fantastic week. There were a few times when there were crowds in the Haram but Allah made place for us all. We managed a second nafl Umrah as well which was amazing. We then headed to Medina for a week. Our Prophet's (SAW ) city was just as magically peaceful and exquisitely serene as I remembered it to be. With very heavy, saddened hearts we headed back home praying sincerely that we return soon In Sha Allah. We prayed for all at Crescent Lifestyle who played a pivotal role in our Umrah. You assisted me in fulfilling an unquenchable longing to be in the blessed cities. You have my eternal gratitude and duas. May Allah bless you all and allow you to continue your noble work. Visit our website to see all our winners. * Valid on presentation of Digital Membership Card. 16 Lincoln Terrace, Westwood Mall, Westville, Durban. *Valid on presentation of Digital Membership Card. 13 Church Street, Amalgam, Johannesburg. Shop 1, Block 5, Gatesville Shopping Centre, Gatesville, Cape Town. Offers only valid on presentation of a Crescent Lifestyle membership card . Offers exclude in-store promotions, sale items and special offers. Please visit our website for full details on the offers and a full list of all savings from all Alliance Partners. Join us for breakfast and get a FREE Americano or Restretto or Macchiatto with your meal. Tea lovers can choose from a premium Ceylon, Rooibos or a Green tea. To see exclusive benefits from over 100 Alliance Partners click here. Offers only valid on presentation of a Crescent Lifestyle membership card and in conjunction with the promotional code. Offers exclude in-store promotions, sale items and special offers. Please visit our website for full details on the offers. Good health is not something that should be taken for granted. With the number of people suffering from chronic illnesses such as high cholesterol, heart disease, diabetes and high blood pressure on the increase, we all need to make our health and wellbeing a priority. Here are some ideas to help you on your journey to good health and fitness. Find what works for you. When you begin a weight-loss program, or a get fit program you usually are willing to make big changes, which you may not be able to maintain over the long term. Rather find a method and style that will suit you and that you are able to maintain, without it being too drastic. Weigh yourself regularly. People who weigh themselves most often and most consistently are best at realising the soonest as to when they are deviating from their plan and can make the necessary changes. This applies to a weight loss plan and to a maintenance plan. Plan your meals. You can maintain your weight or lose weight with a variety of different meal plans from low-fat, to low-carb to high fat/no carb- just pick one and stick with that plan. That takes planning. Be creative and vary the foods that you are allowed to eat so that it does not become boring and monotonous. Make a list before you shop. The "plan your meals" bit works only if you also write down everything you need before you shop. By doing this, you will not forget important things and spending will be monitored indirectly as you will not end up buying unnecessary items. Focus on process, not outcome. When you're losing weight, you think of an outcome which can be disheartening when things don't go according to plan. Rather focus on the process and enjoy the journey to fitness and health. Drink a lot of water. Water is an important part of losing weight as well as maintaining it. Eat the same number of meals a day. The number of meals don't matter. Just don't skip a meal or planned snack. It disrupts your hunger cues and the process which leads to unwanted indulgence. Include fruits, vegetables, and/or lean protein in every meal. Research show the importance of eating protein and fresh, fiber-rich foods in maintaining weight. Follow a consistent exercise routine. You don't have to be on a crushing exercise routine, but you need to do some sort or beneficial exercises consistently- even moving your body for 30 minutes a day has benefits. Reward yourself. Weight maintenance works best when you occasionally give in to temptation. Hence a goodie as a reward isn't a bad thing as long as you get back on the path as soon as you have had the reward. Don't forget your accomplishment. When you need a confidence boost, remember your past and and realise what you were, how you got to where you are and the reasons you wont go back. We are looking for a SALES driven and very hard working individual to join our growing company. You need to have a passion for reaching your targets. Certified training after completion of the probationary period. A positive atmosphere in and already amazingly cultured team. All candidates will be shortlisted.